Melissa Odabash Summer 2019 Collection. 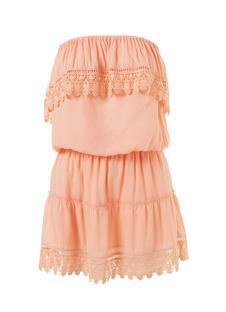 A short bandeau mini dress in the fabulous summery mango colour. Coordinate mummy and daughter with the girls joy dress in mango or sky.